« So What's Up With Nikon? Nikon today officially announced the D850, the replacement for their best all-around DSLR, the D810. Just as the D810 improved substantively on the D800, the D850 is poised to do the same for the D810. As you might expect, all the D5-generation technology changes have made it to the D8xx series. That means a new high performance autofocus system (153 points with a larger area, 99 crosspoint) with quite a bit of new flexibility and capability compared to the D810, including a thumb-stick to control the focus point. The D850 focus seems basically unchanged from the D5/D500 cameras that innaugarated the new focus system. Likewise from the 5 twins we get the back-illuminated buttons, the 180k RGB metering sensor, plus a touch-sensitive 2.36m dot rear LCD. Like the D500, the D850 display tilts. Unlike the other D5-generation models, the touch abilities extend fully to touch focus, touch menus, touch playback, and pretty much all the touch things Nikon has done on any camera to date. Finally. At the heart of the camera is a new FX BSI sensor that produces 45.4mp images (8256 x 5504) with no antialiasing filter to smear detail. I suppose some will find ~46mp disappointing, as that's not far beyond Sony's 42mp, while Canon already has a 51mp camera and there are constant rumors of even higher pixel counts coming from competitors in the not too distant future. But given that the 36mp D810 easily has held its own in pixel peeping contests against all comers to date, I'm not overly worried about only gaining 10mp. Also, to put that 8256 x 5504 into perspective, let's take the typical inkjet printer densities we use (300 dpi and 360 dpi). That means 23" to 28" prints (long axis). I've updated my "How Big Can I Print" article for the D850. When the first 100mp small MF cameras start appearing, I'll update it again. This new D850 sensor appears to be an entirely new CMOS BSI sensor with gapless microlenses (plus some very new bits for Nikon, such as a no-crop 4K capture). The pixel density is basically the same as a D500. As with the D810, though, base ISO is 64, with additional ISO values from 32 to 102,400 (though the main settings are 64-25,600). Just as a reminder, Nikon has been consistent with ISO values. Numbered ISO values represent standard in-sensor gain technologies being applied to generate best-possible Digital Numbers (DNs). LO and HI values derive ISO via post-sensor changes, and have rounding or truncation issues due to the use of value modification on already-generated DNs. The sensor, coupled with EXPEED 5, has a lot of natural bandwidth, it appears. As it ships, the D850 will shoot at 7 fps for the full 45.4mp image size, a nice improvement over the D810 (5 fps at 36mp). With an EN-EL18a or EN-EL18b battery in the optional vertical grip, the D850's fast shooting rises to 9 fps. To me this is one of the aspects of the camera that keeps it poised to claim the best all-around DSLR title again. On the one hand you have a high resolution sensor (45.4mp), while on the other hand you have a camera that is responsive to fast action (9 fps). The D850 is more well-rounded at that than its competitors, it seems. Moreover, in DX crop you get 20mp from the D850, basically the same as the D500. In other words, if you've picked up a D500 to shoot active subjects, the D850 very well may be duplicating what you've got (obviously 7 fps versus 10 fps is a small loss of capability, but you can up that to 9 fps using the vertical grip, and the difference between 9 fps and 10 fps is ignorable). Despite high resolution and high frame rate, the D850 buffer manages 51 full frame images shooting 14-bit lossless raw (far more if you care to drop to 12-bit and/or one of the other compression settings). In other words, there's virtually no shooting compromise being made despite all the data that's percolating around inside this camera. Of course, that's assuming you're using a fast XQD card. Some D800/D810 shooters will be upset that the D850 uses XQD and SD UHS-II cards (one slot for each). Don't be. If you're buying a camera at the front end of the performance wave you need to expect that you'll need to update some of your support facilities, like cards. While I don't like the mixed card slot design—also used in the D500—if you haven't shot with XQD cards you haven't actually seen state-of-the-art write performance from your camera. The tricky part here is the same as with the D500: the camera is only as fast as its slowest card. That's why I tend to not put a second card in my D500: using an SD card as backup reduces the buffer and increases the time to recover from buffer fills. That will be true of the D850, as well. If that weren't enough, there are additional aspects of the sensor that come into play if you elect to use its electronic shutter. First, there's silent shooting at 6 fps in Live View. Silent as in "no sound at all." More interesting is the 30 fps 8mp mode in Live View (with a DX crop, though). Note that there are restrictions on autofocus with both types of shooting, though. Other aspects of the D850 that are sensor-based come in the video capabilities. First off, we have no crop 4K video. There's a slightly strange 4x (at 30 fps) slow-motion mode with a few limitations. We also have a new 8K Time-lapse function built-into the camera, and we finally get focus peaking. If that all weren't enough, Nikon has added some additional technologies we haven't seen before, even in the D5. First up is a viewfinder with 0.75x magnification, producing the largest and brightest image we've ever seen through a Nikon DSLR eyepiece, and replicating the best we saw in the film era. That was unexpected. Of course, we gave up the built-in flash to keep the viewfinder hump from getting too big. Another big surprise to many will be the built-in Focus Bracketing function. The D850 can automatically generate a sequence of images with focus moved slightly between each. You specify the near focus distance, the focus increment (10 choices), and the number of shots to take (up to 300). You'll need to stitch the images that are produced in an external software product, such as Photoshop CC; the D850 doesn't build a stitched image from the set. The D850 isn't the first camera to have this focus bracketing function—the Olympus E-M1 Mark II has a near identical ability, for instance—but it most certainly isn't something you find in a lot of cameras, and it's entirely consistent with the usage patterns Nikon sees for the camera (studio, landscape, product photography all would benefit from this feature). Automatic white balance has been improved for natural light. The D850 has a new Auto setting that you should use when there's no artificial light in your image, as it does a better job of determining the differences between sunny and shade, for instance. 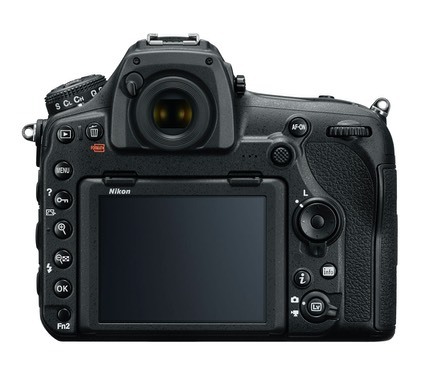 We also get the Auto Picture Control first introduced with the D7500. Sure. Lots of small details lie in between the big trees. There's a new 1:1 crop mode, an improved split-screen display, built-in Wi-Fi and Bluetooth to support the latest SnapBridge, improved battery life, a bit of depth reduction (but its not lighter as predicted), and more. Probably the biggest of not-mentioned-much changes is that the D850 has an entirely new mechanical shutter, one that is further optimized for low impact and short viewfinder blackout. Price is US$3299, the camera is made in the Nikon Thailand factory, and cameras are expected to be available at stores in September. On paper, Nikon has another winner, and the "best all-around camera" trophy is still likely to stay in the D8xx realm. Obviously, proof will be in the shooting, but Nikon's confidence in this new iteration seems very high. It might not have every new feature and performance trick that could be imagined, but it's a pretty aggressive update, with quite a bit of improvement across so many different areas of an already great camera. Nikon D850 versus Canon 5DIV — the Nikon has more pixels with no AA and should produce far better images, and at a higher frame rate, to boot. Other aspects of the D850 are also better than Canon's primary enthusiast/pro camera, as well, but detailed resolution even of fast motion subjects is going to be the big differential here. Nikon D850 versus Canon 5Dsr — the Canon has a few more pixels, but the rest of that camera, like the 5DIV, is well behind the D850 (e.g. 5 fps on the 5Dsr, 1m dot fixed non-touch display, 61-point autofocus system, no 4K video, and so on). Nikon D850 versus Sony A7rII — a far trickier comparison. The D850 wins with its DSLR traits (focus, lenses, battery, etc. ), the A7rII wins with its mirrorless traits (better video focusing, sensor stabilization, and EVF if you prefer that). Nikon D850 versus Fujifilm GFX 50s — another tricky comparison. I'm still trying to get a handle on the GFX, but I'm finding that the lenses and focusing tend to hold the Fujifilm back a bit from the gain you'd expect from a 50mp medium format sensor. But I think for the tasks that you'd buy these cameras for (landscape, studio, product shots, etc. ), the lens selection alone tilts in Nikon's favor. 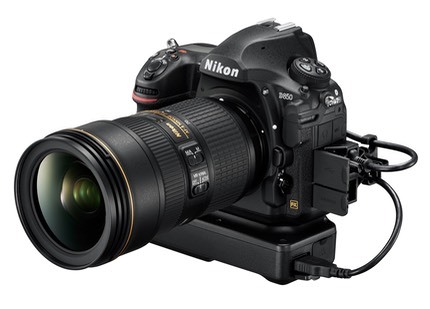 Given the price differential, it's not a contest: the Nikon wins. Since most of the specifications leaked in mid-August, I've already seen a great deal of Internet angst over the D850. The three basic camps seem to be: (1) A nice update to the D810; (2) Wow, this is surprisingly better than I thought; and (3) Sony cleans Nikon's clock. Nikon doesn't have a clock that needs cleaning, and the Sony boys are out shaking their fan blades as hard as they can trying to dismiss the D850 in any way that they can. I'm not sure what their problem is. Sony makes some very nice cameras, and I use them. But so does Nikon. I think we can pretty much dismiss those that are in Camp #3. Personally, I'm in Camp #1. 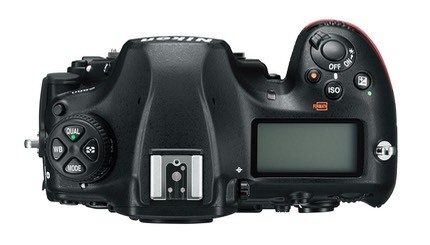 The D800 was the best all-around ILC camera you could buy when it came out in 2012. The D810 surprisingly took on that claim quite easily, despite not seeming to have any substantive changes to it. All the little tweaks and changes Nikon made from D800 to D810 produced a sum far greater than the parts suggest. Now we have a lot of significant new parts, and I think that once again the sum will work out to be far greater than the parts themselves. This has produced a camera that still will hold onto the best all-around ILC camera you can buy title, I'm pretty sure (No, the A9 is not that; the next Sony that will have a shot would be the A7rIII, but that's not expected for at least another year). But revolutionary or a big wow? No. Nikon has done the kind of quiet-but-solid iteration here that we want them and expect them to. Very careful, very considered, all a step forward from where we've been. Are there downsides to the D850? Yes, a couple. Removal of the pop-up flash without adding built-in radio support (or GPS) is a bit of a bummer for off camera lighting triggering. There's only one 10-pin socket on the camera, but Nikon seems to think that you'll be okay with picking between GPS and their expensive radio flash/triggering. Not. On a high-end product like this, that's a clear design miss, IMHO. Perhaps we'll get a new SU-5000 that does radio and mounts in the hot shoe. That would help a bit. That's really professional? It looks like—and is—a kludge. Considering that Nikon has a better solution in the D5 (and WT-6), why the D850 is burdened with the WT-7 I have no idea. Are they seriously going to claim that they didn't have room for the WT-6 connector? Nope. Lazy engineering is to blame. Whoever authorized this should be required to hold his phone with a WT-7 grip for the next 12 months. Still, on paper it seems like the D850 will be a clear winner with the Nikon faithful. 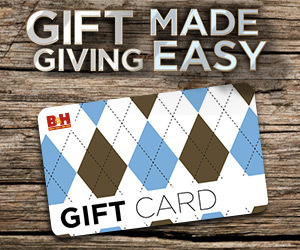 I can't wait to get my hands on one to test.